Another part should be modification: on ebay you can buy really cheap pedals. 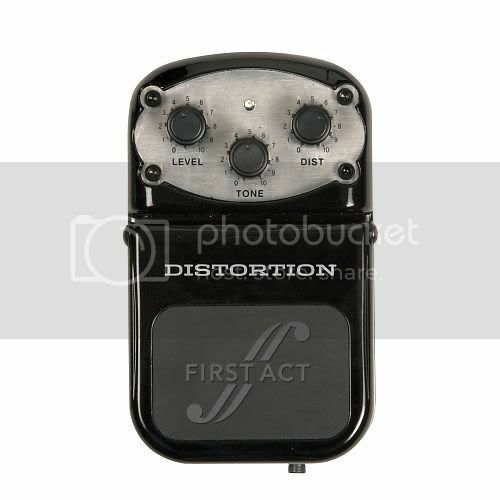 For example this week I bought a Ken-Multi/monarch Distortion for Eur 8,50 plus shipment. This boxes are not so bad. For example the PSK SDS-2, SDS-3 or SDS-5 (seems to be now the roque SDS-5 can be easily be modified to be a Rat. They put in this unit since yearsa 470 Ohm instead of the 47 Ohm resistor in the gain section. If you change it, it should sound like a rat... If you can buy a zvex unit you also can use a plastic-boxed. If you don´t like it, there are also a lot of metal-boxed units on ebay. I've pointed to this before but it is true that instead of fighting the diy and boutique scene who allegedly would be stealing all their business, the big pedal manufacturers concentrate on making cheaper and cheaper pedals that are just ok. For the price a diy could not even buy the hardware to make a box. Another subforum, I know, but we do like to at least try and keep the information accesiible in some way, which is not always easy with a forum. Please feel free to make suggestions and comments about the idea in this thread. And have fun... but remember cheapo cheapo pedal only. great idea! but before we get the ball rolling, maybe we should agree first how cheapo is cheapo? because a cheap for one guy maybe too expensive for another..
can we have a price range? Today, I turned my DOD FX-56 American Metal into a Boss HM-2 Heavy Metal. Does that count? invictus wrote: great idea! but before we get the ball rolling, maybe we should agree first how cheapo is cheapo? because a cheap for one guy maybe too expensive for another..
"how to turn an sd9 into a landgraff or timmy"
"beringher to zvex conversion" haha. Strict rules never makes sense off course, but the cheaper the item you start with, the better. But what is cheap? With Behringers selling at 28 EUR or something we should maybe first round up some of those very cheapo brands. You cannot even start to to diy for 28 EUR pedal. Every pedal you make yourself will be more expensive. To pimp such baby to boutique heights would be our ultimate goal. We're really to mod the cheapest boxes on the planet. Do you get the drift? AG, where art thou? Where's my googles? back in a minute. Then set up the amount you want to spend. 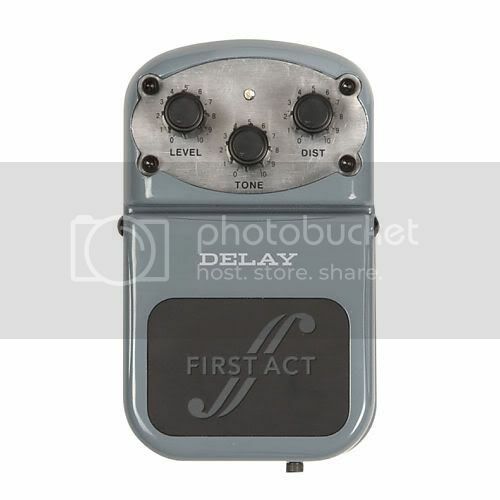 I found 180 pedals under 20 EUR Buy it now price, but mostly in the us. appears to me the same as the PSK DST-5 which can be "upgraded" to a (vintage) RAT or modded to an Overdrive. These also in the ballpark, IMO. Available at the toystore chain, Toys-R-Us. Get a cheap pedal off ebay and start pimping that pedal today! It comes in a metal-case and is a 1:1 Boss-copy. Made in the mid-80´s in Taiwan by a company named "Great Century Enterprise Co., Ltd" and sold under different Brand names like Century, Denio, Matathon, Rockson, Session and VShock. 1- NUX overdrive and metal pedals. Dirt cheap under £15 look cool and sturdy but think its a chinese company. Now i have had bad postal and quality experiences buying from there. Anybody fron UK bought these? 2- Daphon - havent tried these out. chinese firm- how long does it take in post? dtjesus wrote: Been surfing ebay for ages for the same reason. I am based in UK so cant buy US items as postage is a lot. Yes, you are right. The above links only list US auctions as these ebay FEEDS were only available for ebay.com. Now they decentralized and seperate feeds are offered for ebay.be, .fr, .co.uk etc. But there were some notable exceptions. Bought 2 used Arion's off ebay for a silly price and built a Fuzz factory in one. Was'nt that easy as i had thought. As i had to buy the smallest pots ever. I had so much fun watching that video. It's a great build, the expression pedal is a really cool idea. BUT if you still sound cool those socks, you rock!! They arrived today. First impression: heavy.....I mean HEAVY! The sound is fairly nice (compared to the price I´ve paid), Tone at 11, Level 12, Dist. between 1 and 2 o´clock. It´s not so fizzy but quite "fat" (I used a Epiphone Firebird w S/D Pus - mini-humbucker).